InnoviCares is the free card that provides financial assistance to help patients save on select brand-name prescription medications at pharmacy. Available to all Canadians, innoviCares can be used with existing drug plans or on its own if the patient doesn't have insurance. Patients who register their card receive a personalized card and gain access to adherence tools and email updates. The innoviCares card provides financial assistance on more than 100 drugs across all stages of the product lifecycle, from newly launched molecules, specialty and off-patent drugs. Funded by pharmaceutical manufacturers, individual programs may change or end at the independent manufacturer's discretion. Learn how you can get your patients started on innoviCares. Empower your patients. With innoviCares, the financial barrier to medication is lessened and your patients are enabled to better manage their healthcare through electronic tools such as refill reminders and medication tracking. Support your patients. InnoviCares works just like any other insurance card and should be processed as secondary payer to coordinate with a patient's existing coverage. The card will automatically pay a portion of the drug acquisition cost, and customary mark-up to a maximum amount established on a provincial basis. This form is for healthcare professionals and organizations only. 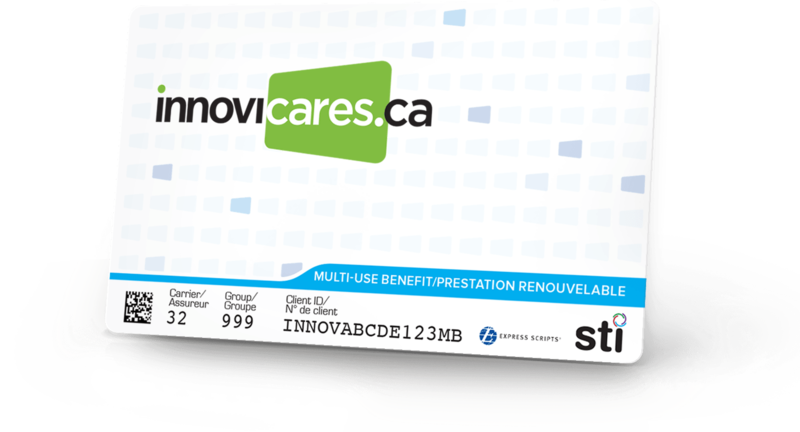 To get your personal innoviCares card, please click here. Need help, or just want more information?